Getting a mortgage with Japanese Knotweed - Which? Japanese knotweed can scupper your chances of getting a mortgage. Find out why lenders hate this weed - and what you can do about it. What is Japanese knotweed? What does Japanese knotweed look like? Why does Japanese knotweed affect my mortgage chances? How do lenders judge the severity or risk of Japanese knotweed? What kind of mortgage can I get if a property has Japanese knotweed? Fallopia japonica is an alien species which lies dormant through winter months, before exploding into rapid growth in the spring, growing as much as one foot in a single week. It can climb over six foot above the ground, but it is out of sight where it does the most damage. It can ruin a garden, strangling all other plant life, but - perhaps more importantly - can root deep into the ground, damaging foundations, drainage systems and walls rendering a house unsellable. This is why some lenders refuse to give mortgages on properties with this aggressive weed. This guide explains what Japanese knotweed is, how it might affect your mortgage chances - and how you can deal with it. It’s hard to kill, having originally been found growing inside Japanese volcanoes, and can grow in almost any circumstance, simply hibernating in bad winters and coming back stronger the next year. Japanese knotweed is often found near railway embankments, as railway companies originally believed it to be a good way of preventing landslides, but it can be found anywhere across Britain in any ground conditions. Before you diagnose it yourself, speak to a specialist and even get more than one opinion. There are different types of knotweed which can look very similar, not all of them as pernicious or as expensive to remove as Japanese knotweed. Why does Japanese knotweed affect my mortgage chances? It affects it in two ways. 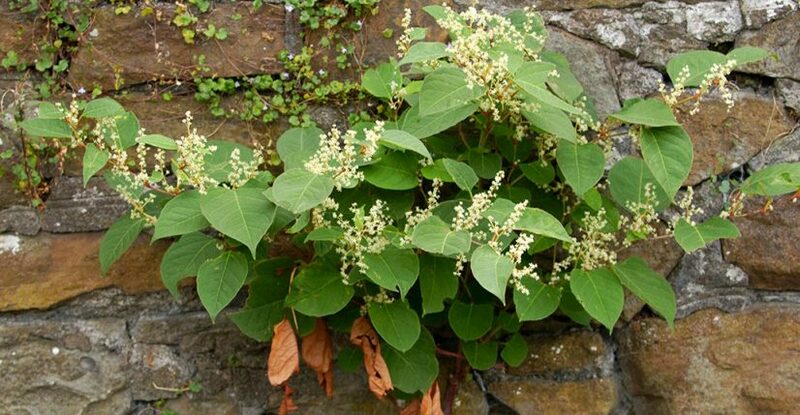 As it sprouts out looking for sustenance, Japanese knotweed can break open cracks in foundations, brick walls, and damage sewage and drainage works. And even when it appears to be killed off, it often lies inert under the soil and, when split open again, it grows back like before. This can be a big problem if you want to build an extension, conservatory or lay a patio, as digging through the original root system can reawaken the plant. Many mortgage lenders believe it affects not only the existing structure, but any future structures too, and can be reluctant to lend on a property with it. Which? Mortgage Advisers are experts in finding the right mortgage for your needs, no matter how tricky. Call them today for a free consultation on 0800 197 8461. How do lenders judge the severity or risk of Japanese knotweed? Each lender is different and may have their own criteria. 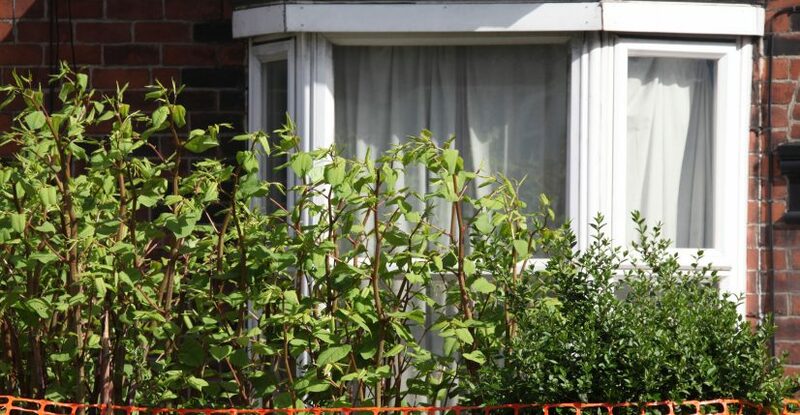 There is no industry-wide standard, though the Royal Institution of Chartered Surveyors (RICS) has five categories, and these broadly fit into how lenders view your knotweed problem, each rising in severity. Category 1 You have no knotweed, you're in the clear. Category 2 Knotweed is found in a neighbouring property, more than seven metres, or an empty space like a railway bank or wasteland. Category 3 Knotweed is within seven metres of your property but not within it. Category 4 It is within the boundaries of the property but is within seven metres from a living space. You will need a professional opinion. Category 5 The worst. It is within seven metres of the property and causing damage to walls, paths or foundations. This needs immediate professional intervention. What kind of mortgage can I get if a property has Japanese knotweed? Whether or not you can find a lender depends how your property rates against the five categories above. Category 1 equals no knotweed on the property. If your survey shows up Japanese knotweed, this will require another survey by a knotweed expert. Some lenders may already decline you at this stage. If your knotweed exposure hits Category 2 or 3, as described above, you may be asked to provide a bigger mortgage deposit, or could even be charged a higher interest rate. If your proposed property is at Category 4 or 5, many mortgage lenders will refuse you on this basis. If they do accept you for a mortgage, they will expect an independent examination and a treatment plan put into action. They may expect the knotweed to be completely removed and any damage is repaired - complete with a guarantee from a treatment expert that the weed has gone - before a mortgage can be completed. It can cost up to £15,000 to rid a garden of Japanese knotweed and even then there is always a risk it can come back. What do I do if I have Japanese knotweed? There are three levels of care for knotweed, each of which will require specialist assistance. Topical treatment of the weed which can last several years. A weedkiller is administered to the plant to kill it off in stages. Sealing the knotweed with a membrane to stop it coming out of the ground. You may find you need a combination of all three treatments. All knotweed specialists should carry out a survey to diagnose the issue and advise the best course of action. Treatment of knotweed can cost a few hundred pounds all the way up to £15,000. Your mortgage lender or buyer might look for a knotweed removal guarantee before a sale or remortgage can go through. You can find expert tree surgeons and knotweed specialists using Which? Trusted Trader. It is inadvisable to treat or remove knotweed yourself. Professionals have access to powerful herbicides that cannot be purchased by the public. You risk making the problem a lot worse by spreading it around to previously unaffected areas. Also, just because the knotweed is no longer visible does not mean it has gone and it can come back more virulently than before. Specialists will either completely dig it out of the ground, poison it with chemicals, or kill it off at surface level and then seal it with membranes. What kind of survey do I need if I have Japanese knotweed? You will need a survey from a Property Care Association (PCA) approved surveyor, who will assess it on the above RICS categorisation. A survey may include recommendations to the lender, which could make or break your sale. If, for example, the surveyor states that 'this property is not suitable for mortgage purposes' that may kill your chances of buying or selling, unless you sell your home to a cash-buyer. It can be a factor, ultimately dependent on which of the five categories detailed by the RICS it falls within. As knotweed can grow aggressively, you can find yourself moving from one category to the next quite quickly. If you have a neighbour who refuses to treat their knotweed or it's encroaching from other land, you can seek professional advice or professional weed treatment. In some cases, a specialist can lay a membrane to prevent the weed from entering. There have been test cases where railway authorities have had to pay compensation to individuals whose property has been affected by encroaching knotweed. If you're looking for a mortgage and need expert advice, give Which? Mortgage Advisers a call for a free consultation on 0800 197 8461, or fill out the callback form below.